As a sales or marketing manager, you not only need to bring in leads, you need to make sure you’re qualifying them as well. But the process of “qualifying leads” isn’t a one-size-fits-all solution. In fact, there are several ways to qualify sales leads, and each method has its own logic and reasoning. Which framework should you go with? Well, that depends. By the end of this article, you should have a good grasp of which method is the best fit for your business. If more than one stood out to you, try ‘em both out and see which one works better—or develop your own hybrid of the two! 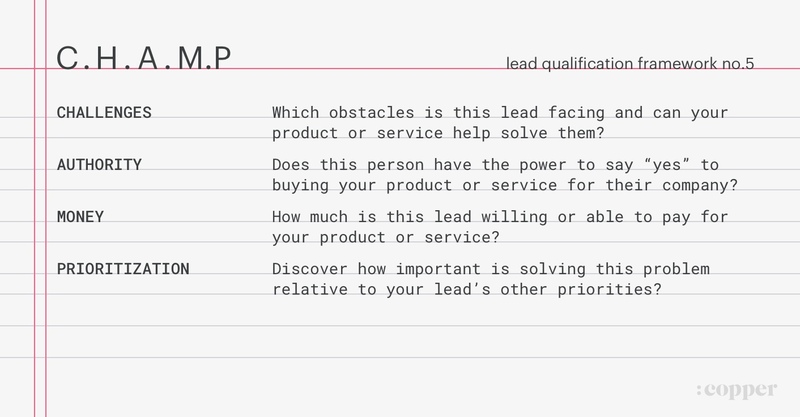 Before we jump into the different lead qualification frameworks, however, let’s touch on why lead qualification is so important. 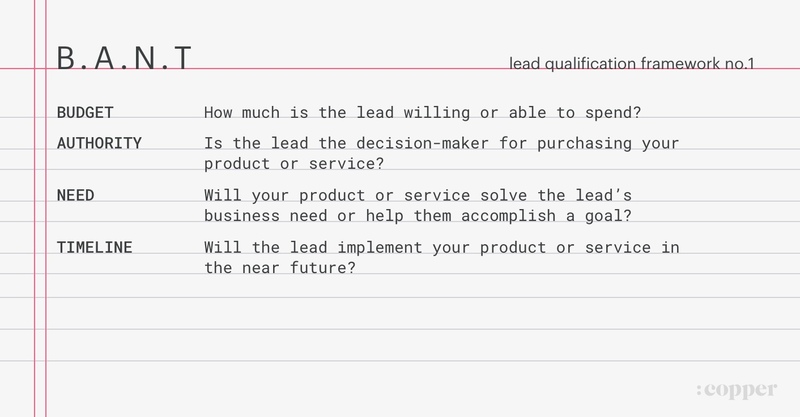 Here’s why lead qualification matters. This is usually based on factors such as the lead’s previous engagement with your brand (if any) or which stage of the sales funnel they’re in. But getting leads to your website is only the half of it. Don’t let your sales reps waste their time on leads that have little-to-no chance of becoming customers—qualify them first to set your sales reps (and your leads) up for success. Qualifying your leads is important because it hooks your sales reps up with potential customers who are a confirmed good fit for your company, saving everyone a lot of time and extra effort (and money) in the long run. 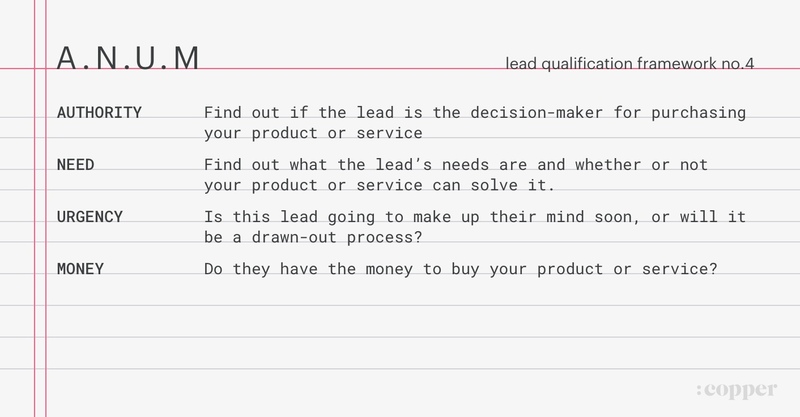 That’s where a lead qualification framework comes in—the right one will help you qualify your leads as efficiently as possible. 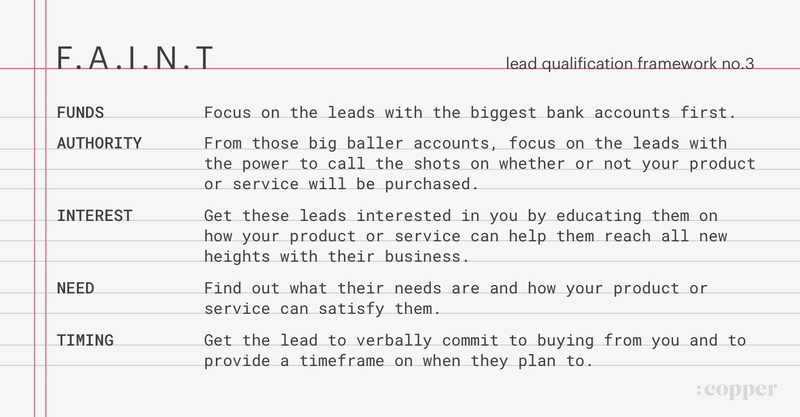 So, without further ado, let’s get right into the different lead qualification frameworks. You might’ve already heard of BANT. That’s because it’s the most popular lead qualification framework; not necessarily because it’s the best, but because it’s been around for a few decades now. Some aspects of it are somewhat old-fashioned. As you can tell by the order of the letters in the BANT acronym, “budget” is the highest-priority factor to consider when qualifying leads under this framework. The problem with this—as some sales leaders believe—is that it doesn’t put the needs of customers first, instead placing higher value on their budget or authority. For prospects, it’s kind of like walking into a jewelry store with your hair in a bun and wearing a sweat-stained tracksuit and having the owner disregard you as a result. Why? Because you don’t look like the “type” to be shopping in there. This is one the main reasons BANT is becoming less and less popular, especially now that we’re living in the Relationship Era. Depending on what your selling style is, the fact that this framework is probably the least like BANT could be a big pro in your books. While BANT focuses on a lead’s budget and authority, MEDDIC is more concerned with the value your product or service can bring their company. It does this by honing in on the lead’s unique situation and decision-making process in order to understand how to best serve them. 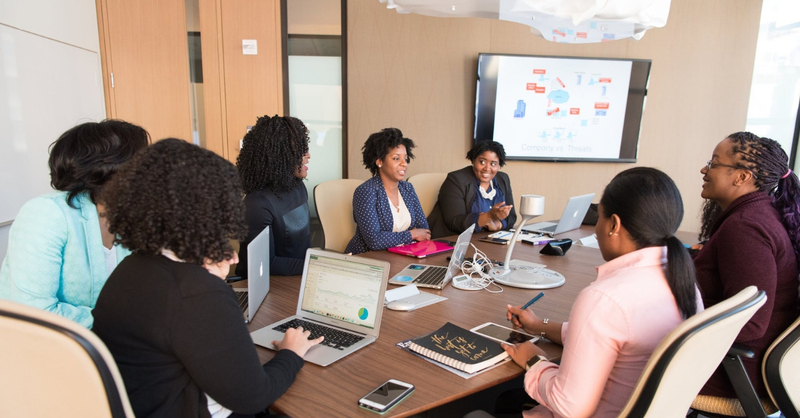 Once you’ve established a relationship with this lead and discussed how you can help them reach their business, they then become the “champion” for your product or service, going back and “selling” the product to the rest of their team. The logic here is similar to that of high-end clothing stores with a wealthy target audience. They’ll purposely hide the price tag inside the clothing—or won’t have the price on display at all—forcing visitors to focus solely on the product itself when deciding if they like it or not. A lot of the time, leads have money, but might not have necessarily have allocated any toward your product or service. So, under this framework, just leave the money talk out at first and concentrate on building interest and desire in the decision-maker. Showing them how your product or service will help meet their need. No, ANUM is not the same thing as BANT. The main difference is, rather than establishing a lead’s budget being the top priority as is the case in BANT, a lead’s decision-making power at their company is. In fact, money is the very last thing discussed in this framework. Many salespeople prefer ANUM over BANT because knowing they’re speaking to a decision-maker over someone with no buying power means they know their efforts are targeted at the right person. Plus, instead of going right for their wallet and bank account balance when you first start talking, the emphasis is more on building a meaningful, trusting relationship with this person (and then asking to see the money). CHAMP is the framework that literally puts consumer needs first, making it a pretty modern approach to sales lead qualification. After all, having money and being a decision-maker isn’t what makes you buy stuff—having a need or desire is. CHAMP is similar to ANUM but puts challenges before authority. That means even if a lead isn’t a decision-maker, that doesn’t mean you’d automatically dismiss them as an unqualified lead. Instead, you’d see them as an “in” to figure out their company’s organization structure and eventually lead you to the decision-maker. In other words, CHAMP is okay with playing the long game. It’s time to qualify leads like a CHAMP (or whichever framework you prefer). 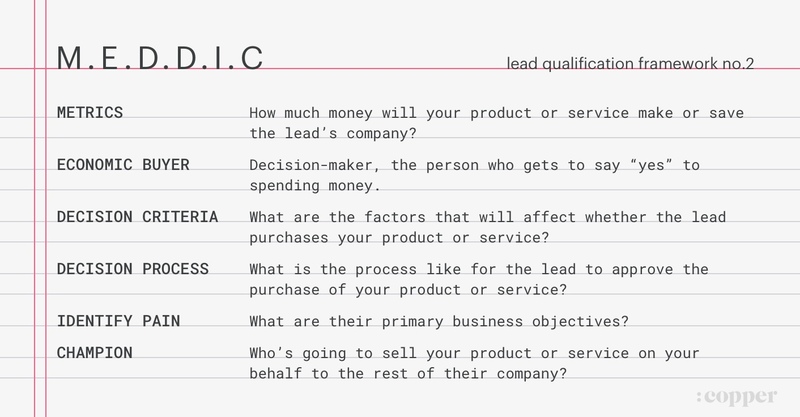 Now that you know how the different lead qualification frameworks work, you can decide which one(s) to implement in your own qualification process. Remember: qualifying leads results in less wasted time, higher win rates, and more revenue generated overall. Getting it down to a science and doing a good job at it is well worth the effort.